Alexandria Ocasio-Cortez is a magnet for scandal and controversy. But Ocasio-Cortez may have just found a new low. That’s because she made one phone call that just convicted her of one terrible offense. Ocasio-Cortez puts her support for Venezuelan-style socialism front and center. 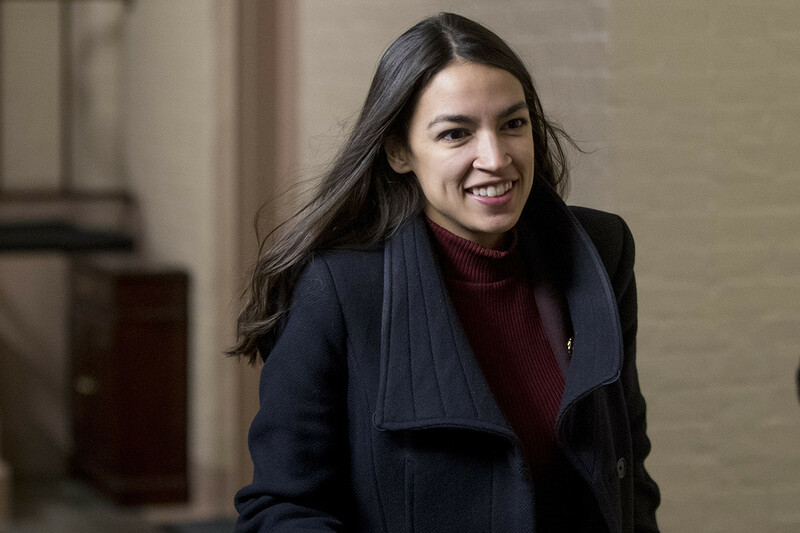 Ocasio-Cortez is always looking for ways to bolster her profile, and a twitter exchange with Britain’s Labour Party leader, Jeremy Corbyn, was her latest attempt to increase the heft behind her ideas. But there is a dark side to this conversation. Corbyn’s reputation is in the gutter among many circles because of his anti-Semitism. Corbyn has attended “Deir Yassin Remembered” events, which was founded by a known Holocaust denier that marks the remembrance of alleged Israeli massacres on Palestinians in 1948. And in 2013, Corbyn defended the United Kingdom’s Palestinian Ambassador, who had made an anti-Semitic attack on Israeli Jews, claiming that “Zionists” smeared the Ambassador. Ocasio-Cortez’s phone call with a known anti-Semite comes at a time when Democrats are already grappling with the rising hatred of Jews in the Democrat Party. Congresswoman Ilhan Omar of Minnesota has seen her old, anti-Semitic tweets cloud her opening month in Congress with scandal. Omar’s explanations for the tweets – as well as her subsequent comments – did nothing to dispel the notion that she is prejudiced against Jews. Another freshman Democrat – Rashida Tlaib – is also fending off accusations of anti-Semitism. One of her biggest fundraisers, Maher Abdel-qader, is known for spreading anti-Semitic conspiracy theories on Facebook. On top of that, Tlaib posed for a picture with Palestinian activist Abbas Hamideh, an avowed supporter of Hezbollah. Democrats have a serious – and growing – anti-Semitism problem on their hands. But Ocasio-Cortez, Tlaib, and Omar are all considered rock stars in today’s Democrat Party. Even the Anti-Defamation League was silent on Tlaib’s actions. Party leaders tiptoe around policing the behavior of Ocasio- Cortez and Omar because of their large social media following and passionate supporters. These freshmen Democrats are defining the Party for better or worse. But their embrace of anti-Semitic figures is one of the biggest – and one of the most damaging – brands they are putting on the Democrat Party.